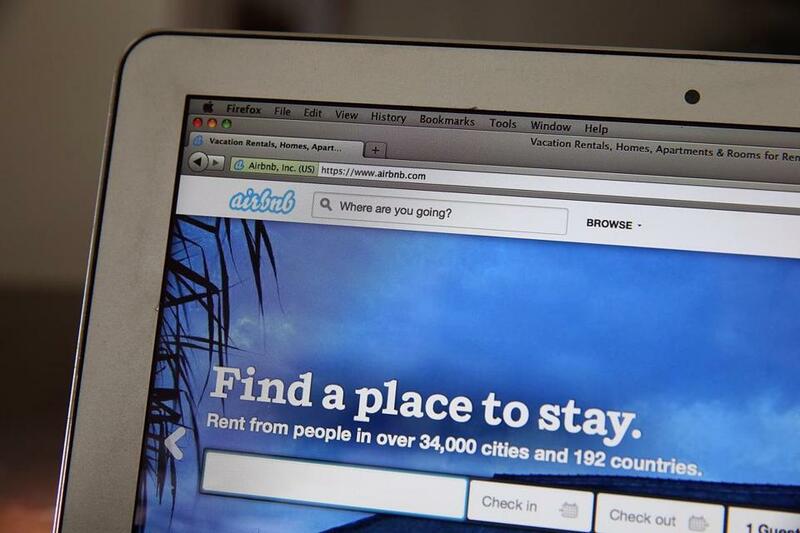 Short-term Airbnb stays would be taxed like hotel rooms under a bill being considered by Mass. lawmakers on Beacon Hill. Short-term rentals on Airbnb and online vacation sites would be taxed like hotel rooms under a bill being considered by Massachusetts lawmakers, with the money funneled into an expansion of the state’s earned income tax credit. The proposal, announced Tuesday as part of a broad economic development bill advanced by the Massachusetts Senate, would generate up to $20 million per year for the state by applying the 5.7 percent hotel excise tax to stays of 31 days or less at private residences. Home rentals would also be subject to a 2.75 percent state surcharge that finances the convention center and additional hotel taxes imposed by cities and towns, which can reach 6.5 percent in Boston and 6 percent elsewhere in the state. The Senate’s proposal would also sharply reduce the amount of time those taxes would be levied on any kind of short-term lodging, including at hotels, from the current 90 days to 31 days. Stays longer than 31 days would be governed by tenant agreements, similar to traditional apartment rentals, and not subject to the tax. Airbnb, based in San Francisco, praised the bill as “innovative legislation” and said it “enthusiastically supports” the proposal. “We’re pleased that the state’s residents and working families will now be able to reap the full financial benefits of the sharing economy,” the company said in statement. But the Massachusetts Association of Realtors said it is worried that homeowners running small side businesses for extra income wouldn’t be equipped to collect and remit taxes. The proposed law could expose those home-renters to penalties for simple mistakes in collecting taxes, and may ultimately discourage them from renting out their rooms, the group said. Massachusetts joins a growing number of states and cities that have responded to the rapid rise of online home-rental services by considering new regulations and taxes. The hotel industry has urged Massachusetts lawmakers to regulate the short-term rental industry, arguing that residential accommodations like those available on Airbnb or VRBO.com should be subject to the same rules as other lodging businesses. Airbnb, founded in 2008, said it has hosted more than 60 million people and maintains more than 2 million listings in some 34,000 cities around the world. While Airbnb already collects and remits taxes elsewhere in the country, including Florida, Illinois, and California, it has also butted heads with lawmakers over stiffer regulations. The company recently sued San Francisco, its hometown, over a new law that bans Airbnb from listing rentals by people who haven’t registered with city officials. New York legislators recently voted to ban the company from advertising rentals of full apartments for less than a month, a move the company resisted. Entire apartments cannot be rented for fewer than 30 days under New York law. The Massachusetts Senate’s proposal would use the new stream of short-term lodging taxes to offset an increase in the state’s earned income tax credit from 23 percent to 28 percent. The expansion would cost an estimated $50 million per year in 2019, its first full year under the proposed legislation. Lawmakers also would close what they said was a “loophole” in the existing credit by restricting the full tax benefit to Massachusetts residents only. That could generate up to $10 million per year to help pay for the expanded tax credit.